The Yoda Kodi addon, named after arguably the greatest Star Wars Master Jedi Knight of all time, has recently been in a well-deserved spotlight. The lovechild of the ever so popular Exodus and Covenant addons, Yoda brings new life to the Kodi video addons section. Wait, does that make Yoda the product of an incestual love… never mind. Oh, look! Squirrel! Being a directly forked variant of the great Covenant and a Supremacy repository release, this addon is sure to be one of the most uncompromisingly high-quality additions to the Kodi addon scene lately. In this MTM guide, we’ll demonstrate how to install the Yoda addon from the Supremacy repo addon on Kodi 17.6 Krypton. Expect the best from this third-party addon, including a vast array of the latest TV shows, movies, live TV channels, music videos, documentaries and more. Follow the easy step-by-step installation process to take advantage of this wonderfully fresh addon addition. __Note:__ with the developer Supremacy becoming a member of Team Illuminati, you may now find Yoda Kodi addon within the Illuminati repository as well. The Illuminati are gone and never to be seen again, yet Supremacy remains. A reader pointed out many more repositories where Yoda can currently be found. Simply install all the repos and be assured of the latest updates to Yoda when they happen no matter which repository receives the update first. If you have all these repos installed when you first install Yoda, Kodi will give you a list of options to install from. The list of updated Yoda addons available in Kodi includes repo names and Yoda version numbers, so you can be assured to have the latest version at all times. You’ll find an illustrated step by step guide to installing Yoda farther down the page if needed. If installing on Kodi 17 Krypton or newer, the XBMC Foundation requires you enable unknown sources in Kodi before installing Yoda. Type in http://2supremacy.uk/repo, click OK, name it supremacy and click OK.
Navigate Kodi Add-ons >> Add-ons browser >> Install from zip file >> supremacy. Click repository.supremacy-X-X.zip directory then click repository.supremacy-X.X.zip file to install Supremacy repo. Click Install from repository >> supremacy >> Video add-ons >> Yoda >> Install button. Before installing any Kodi Third-Party add-ons, we need to shift some security settings. It’s an absolute must that you Enable Unknown Sources in Kodi 17 Krypton or newer. Without this new system setting switched over, Kodi will not allow installation of the Yoda addon. Once that’s done, you can continue to install the Yoda Kodi addon. Follow the illustrated process below which we’ve broken down into three easily followed phases. 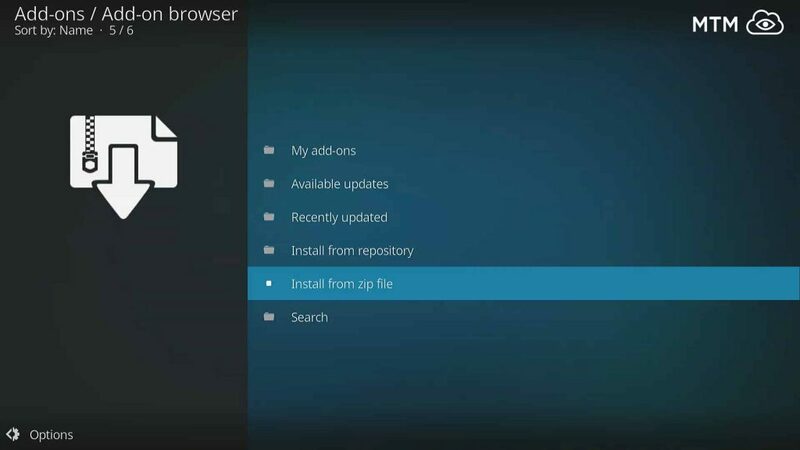 You will need to add the server’s web address for Kodi from which to access the installation file. Follow along below to get this done. From the Kodi home screen, select the system settings gear cog icon on the top left. Next, open the File Manager option on the bottom right. Select the Add source option on the next window. And enter this source URL carefully http://2supremacy.uk/repo using your remote or keyboard. Once you entered the source URL, name the media source Supremacy or whatever you choose to remeber it as and hit OK. Double check for errors and click OK one last time to finish installation. After you added the source, you’ll install the Supremacy Repository, where the Yoda video addon is housed. Circle back to the Kodi Home Screen and select Add-ons on the left. Next, click the Add-ons browser icon, sometimes called Package Manager which is on the top left and looks like a an open box icon. Click Install from zip file next. Now select the source that you added in the first phase. In this case, we named it Supremacy. Click the directory named repository.supremacy-2.5.zip and then the zip file named repository.supremacy-2.5.zip. Please note that the numbers at the end of the file may change if this version is updated. Shortly, a pop up on the top left will notify you that the Supremacy add-on installed! Remaining in the Add-ons browser menu, click Install from repository . Select and open the Supremacy Repository from the list. Then, click Video add-ons in the Supremacy Repository directory. Then, scroll down to the bottom and select Yoda for installation. On the next screen, click the Install button. Yoda add-on installed notification will show up on the top right (see the image below). The force is strong with this one! Now you can connect with IPVanish VPN to freely and anonymously access all the online streaming entertainment options Yoda Kodi addon has on offer. From the newest movies to live TV including live sports broadcasts and everything in between, you’re sure to find all your favorites and many new ones. Yoda Kodi addon is fully compatible with Real-Debrid . So, if you have a Real Debrid account, you’ll find a huge number of additional full HD streams from some very high-speed servers. Yoda has over 40 scrapers built into the addon, which scan the internet for media files. You should never go without free streaming movies with this addon as long as you keep it and its dependencies updated. You’ll be presented with the following main menu category options after installing the Yoda Kodi addon. These should be pretty self-explanatory, so we’ll leave you to fully explore your entertainment threshold with Yoda Kodi addon. This Yoda is the best working Kodi addon to come along in a long time!